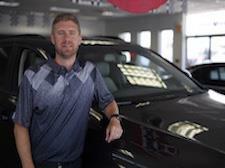 Ben has been at Autotown since 2007, and became part owner in 2010. In May of 2016 Ben became sole owner of Autotown. Prior to Ben's commitment to Autotown he graduated from Illinois State University with a bachelor degree in Business Administration. After finishing school in 2002 Ben worked in the insurance industry with State Farm and Farmers insurance. 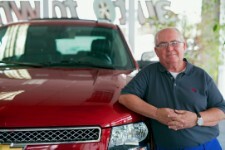 Ben's desire to be a business owner was the motivating factor in deciding to leave the corporate world to join Bob at Autotown. Ben looks forward to a long future of providing customers with an incredible selection of pre owned cars and trucks as well as a buying experience at Autotown that is second to none! I grew up in the small town of Monticello, Illinois. My hobbies include eating pizza, being outdoors and playing pool and eating more pizza. I will always meet you at the door with a big smile, a firm handshake and a genuine desire to assist you on your journey into a beautiful new vehicle. I am a true lover of cars, I have extensive knowledge of almost every car on the lot and would love to help you in any way that I can. I strive every day to make this process as easy as possible, I'm very low pressure and I like to have fun! If you have any questions about any of our cars, please don't hesitate to call or email me anytime, I'm here to help in any way that I can! Growing up in the western suburbs of Chicago I received an offer to walk on to the basketball team at Illinois from Bill Self and then subsequently fell in love with the Champaign area. While at school I met my wife who was home during the summer before her last year Westpoint. Once we graduated we had the luxury of moving all around the US but ultimately wanted to come back to the Champaign area to start a family. I now have two kids and couldn't ask for a better place to work and raise a family. As the newest member of the Autotown staff I look forward to contributing to the outstanding service this dealership has provided in the past. I have worked numerous sales jobs most recently at the Verizon corporate store off Prospect and I believe strongly in helping people find the best deals for their specific needs. If you are in the area or see a deal you like please don't hesitate to reach out to us and thanks for taking the time to visit our site. Bob founded Bob Simpson's Autotown in September of 2001 after selling his interest in Continental Limited Nissan Subaru and Saturn of Champaign, He wanted a Dealership that provided all the same things a New Car Dealership had in a Pre-Owned setting, Bob has been in the auto industry in Champaign IL for a total of 35 Years, has served on the NISSAN DEALER ADVISORY BOARD for over 5 years, as well as the Winner of several Subaru Dealer Awards, Bob's reputation in business and business practices have made Autotown one of the Premier Pre-Owned Dealerships in central Illinois..In May of 2016 Bob sold the Dealership to his long time Business Partner Ben Dyer who will continue the Autotown Tradition... Bob will work by Appoitment and will continue to enjoy helping you with all your automobile needs! Meet Lady Lunella Grace Hayes, just Luna or The Luuuune for short. I am a German Shepherd Dog/Black Labrador mix, but I have the temperament of a four-year-old. I will meet you at the door with a wagging tail and a tennis ball, I love all people but I especially love kids! I won't jump on or annoy you ever, all I ask is just one throw of the tennis ball and I'm your best friend! So come on in, buy a car from my dad (Maloy) and Uncle Ben, and I'll be here for any belly rubs you want to give me! !